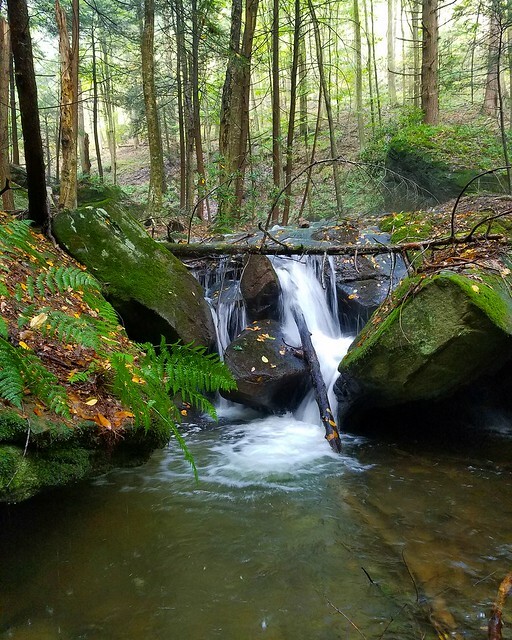 Quehanna has many beautiful streams and drainages, often featuring cascades, giant boulders, moss, hemlocks, and thick rhododendrons. 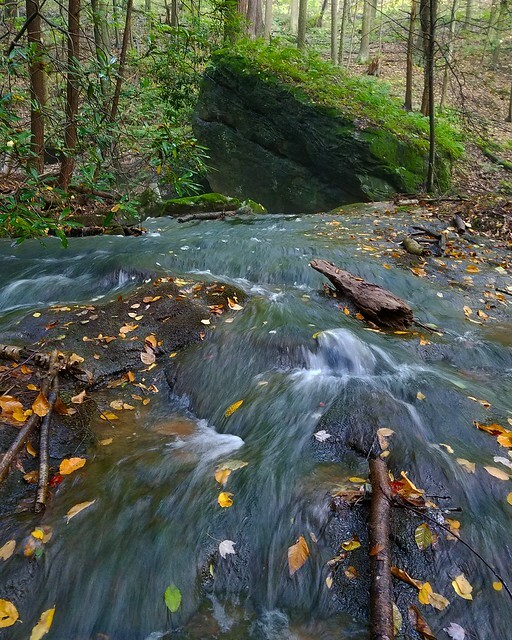 One such stream is White Oak Draft, conveniently located along Wykoff Run Road. There is pull off parking along the road and a sign identifies the draft. I then followed an unmarked path up along the creek, passing an old site of a cabin with only a part of the chimney remaining. The path was faint, but I was able to follow it. I reached a small, open area surrounded by large trees. I was tempted to cross the creek here, but the trail continued on the right side of the creek as it crossed a steeper slope. As I climbed up the creek, I became impressed with the scenery. A rain shower came and I sought refuge under a tree. After it passed, the creek became enveloped with mist, giving the appearance of a rainforest. The moss and ferns were beautifully green. 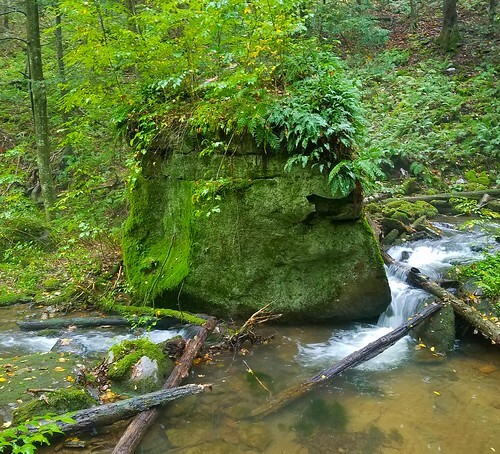 I soon reached an area with large, mossy boulders along the creek. 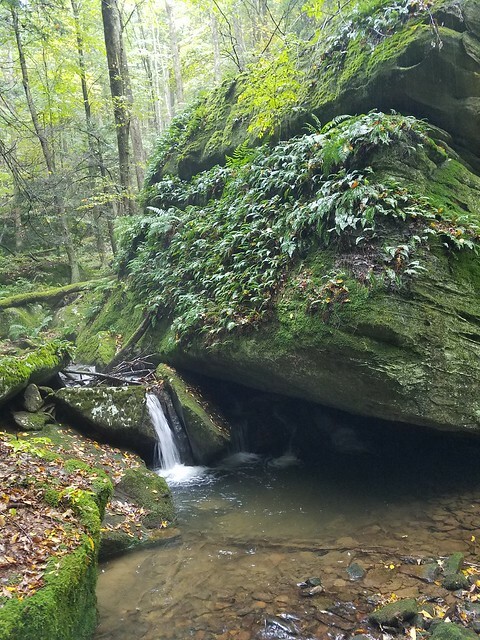 The scenery improved as giant boulders loomed over the creek and cascades. It felt like a primeval world. Some of Ahead was a grove of giant hemlocks and a campsite. 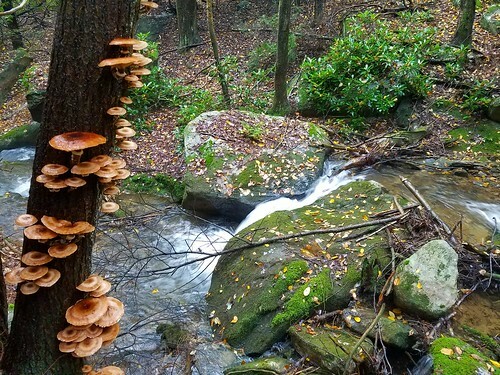 The campsite was surrounded with large cascades and slides, and more large boulders. The trail became more faint as I climbed. I then reached a place where the trail, or what was left of it, had to cross the creek. 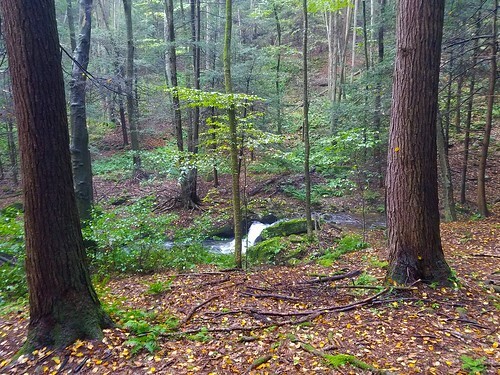 I entered a glen of thicker hemlock and more cascades over an assortment of large sandstone boulders. Misty haze threaded through the forest as the sound of the rapids filled the gorge. I then retraced my steps. I hope to explore more of White Oak Draft in the future. 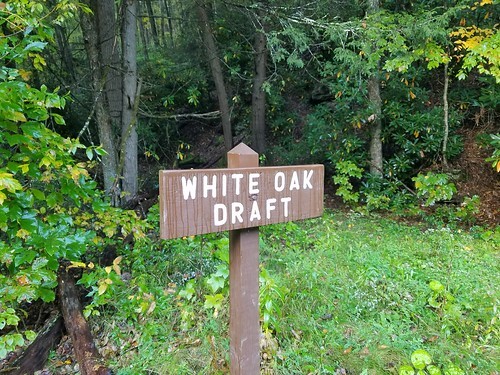 If you’re looking for a different hike with beautiful scenery, check out White Oak Draft. This hike is about .75 mile, one way. Pull off parking is located at 41.282399, -78.135530. Orange is the route. It is on a faint, unblazed trail. 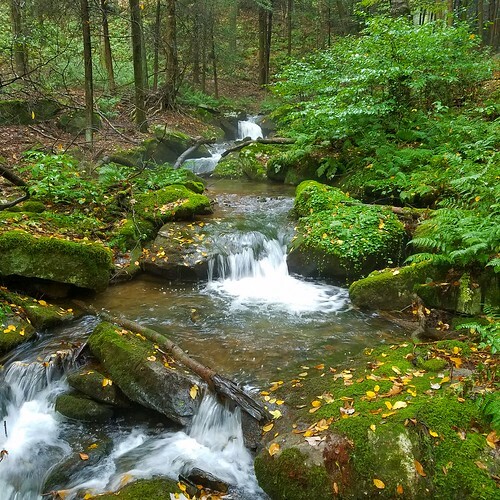 This entry was posted in Uncategorized and tagged elk state forest, Hiking, pennsylvania, quehanna by endlessmountains. Bookmark the permalink.